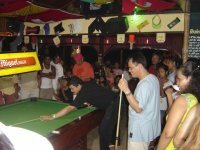 Fun in the Philippines starts and comes from Fun in Angeles City !! To enjoy Fun you need a cozy home you can feel at home, where people care for you to give you freedome to enjoy fun or focus on your work ... your Hotel Swiss Chalet. 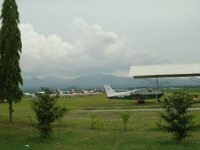 Angeles City Flight Club - learn to fly and more ... just minutes away from your Hotel Swiss Chalet - Angeles City or discover flying with a Swiss Pilot from Fly and Relax while enjoying a sightseeing tour by air on one of his 2 private airplanes. 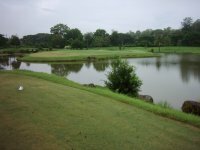 Angeles City of course has a golf course and golf club - guests are welcome. Hans Hofmann owner of Hotel Swiss Chalet is a member of the Golf Club and may surely help you the find entrance - Hans plays early morning several times a week - wheater permitting. Angeles City nightlife tour starts and ends in your Hotel Swiss Chalet in the heart of all nightlife - walk from angel to angel in Angeles City - a barhappy tour trough the nightlife of our lovable city. 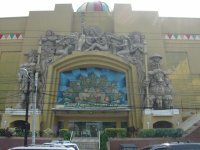 Just some 500 meters away from your Hotel Swiss Chalet toward Angeles City center - you first see on your right side the Casino Filipino ... Play only if you can afford to lose. 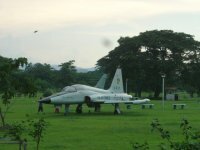 Clark field special economic & freeport zone occupies more than 28,000 hectares for duty free shopping, business, water parks and more ..
worldroom.com has a brief collection of many fast facts about Angeles City eventually interesting to you as a tourist visitors - have a look. At this time of writing Google directory - Angeles City - NO entries for Angles city at all .. 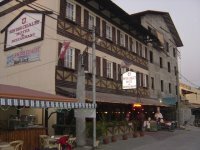 Your smaller Hotel Swiss Chalet - neighborhood offers you all the excitement and fun you may actually be looking for - within easy walking distance - besides all entertainment, restaurants, pubs, bars and nightclubs - a brief look into our Balibago neighborhood shows you where to find what if needed. 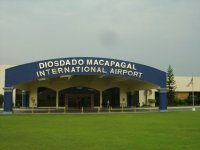 How to get here to Angeles City ?? After all above sweet and good news ... you may now be hungry for adventure, fun, excitement and may be for more ... To get here to Angeles City is easy! 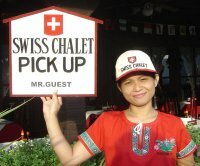 Wether you arrive by air at Manila Airport, Angeles Clark Airport or you are already in the Philippines some where on Luzon island - we pick you up with our Hotel owned car of mini-van and bring you comfortably to Angeles City to welcome you in our Hotel Swiss Chalet. For your online hotel room booking and pick up reservation - simply use our online booking form. For more information please eMail or use the online contact form or just call us.